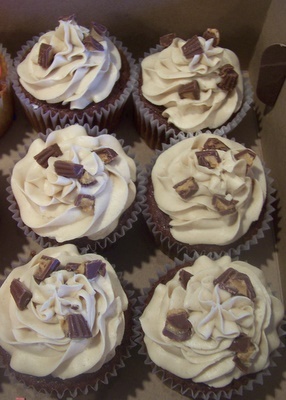 Jumbo chocolate cupcakes iced with peanut butter icing, topped with chopped reese cups. 8″ strawberry cake iced with vanilla buttercream icing. 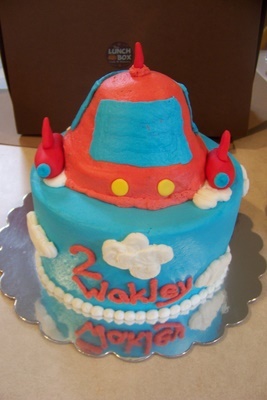 Chocolate cake rocket ship. Made to match the Little Einstein theme. 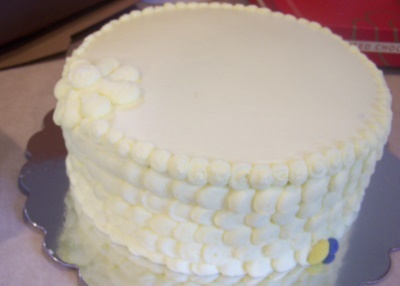 10″ lemon cake with a blue berry cream filling. Iced with lemon icing.